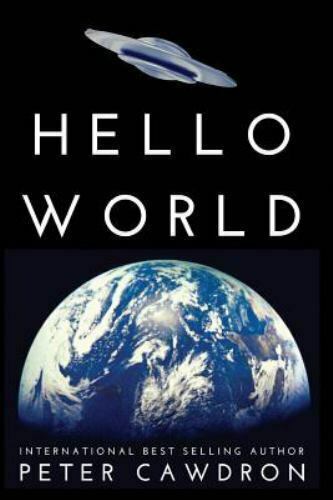 Hello World, written by Peter Cawdron, is an anthology of short stories and novellas, which is not to be confused with a previously released 2015 stand-alone story by Peter of the same name, though it is in here. The Darkness Between The Stars. I don't normally gravitate to anthology books because if the story is good, I hate how short some stories can be and I end up feeling robbed. So I hate anthologies and yet, after reading this collective of stories, I still hate anthologies. But that's because when you get hit by so many good stories all at once under the same "book cover," it gets frustrating to want more of a certain world or reality that gets presented. Such is the case with Cawdron's collection of stories. 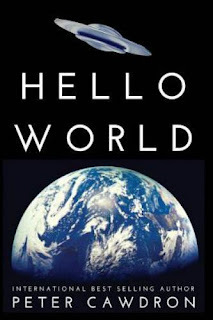 The first few stories got my imagination and attention going, a few didn't quite grab me, but what I like is Cawdron's expertise is in how he represents alien cultures and what they may think of us humans as they encounter humanity. And as far as I'm concerned, he ain't wrong!!! There's variety and mystery and excitement... all rolled up into one big volume. No, I still don't like anthologies... But this time I made an exception. Plus, anything Cawdron writes about is refreshing because he strives for technical accuracy, so when you read anything by him, you know it's fact and you end up learning something along the way! This anthology is well recommended.